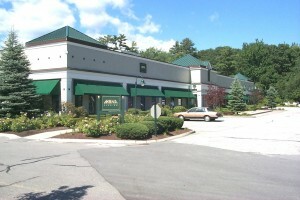 One-story masonry and steel building, converted from a retail mall. Extensive facade and interior renovations in 1994. Present tenants include Andover College,occupying 40,000 s.f., Maine Medical Center,occupying 30,000 s.f., and Time Warner with a 32,000 s.f. call center. A 7 acre parking lot providing on-site parking for 650 cars, or a 5 spaces per 1,000 ratio for the entire complex of two buildings. Located in a residential neighborhood on a major route from the peninsular to the Northgate residential area of the city, Situated two miles from the city center, an ideal location for a regional office or an administrative back office operation.